Over the past 17 years that I have been working with athletes and their families I have discovered three common characteristics that help athletes succeed. I will discuss these themes in this blog and subsequent posts. The inner game feels like a mystery a lot of the time doesn’t it? We read books on the subject, all of the ideas sound great and really helpful, but why do athletes still struggle applying these lessons? Why do some athletes show great poise under pressure and others crumble. Yes, there are many variables. This is always the case but it doesn’t mean we can’t identify some key factors that would actually solve the riddle of the mental game. I believe athletes need to be able to develop the following attributes to succeed and thrive in sports: First, they need awareness. Athletes need to know where they are weak, recognize their strengths and be clear about how their mind gets in the way–even if it is just 5% of the time. Many athletes have blind spots and don’t know how they are sabotaging their performances. Second, athletes need to find as much intrinsic motivation as possible. Athletes are overwhelmed by expectations and getting “there” and don’t practice engaging in the process. They are fixated on short-term results and are not clear how to find a more sustaining connection to their sport. Coaches and parents can help with this. Third, athletes need to learn how to master their emotions. They need to let negative thoughts go, move on from mistakes, trust their game, stay focused on the task at hand and deal with disappointment. Emotional mastery requires both awareness and intrinsic motivation. Athletes must see that controlling their emotions is part of their development and an important skill in and of itself. This three-step approach (AIM) will help athletes develop the necessary skills to help them perform at their peak more consistently. I will go into great depth in subsequent posts on how all athletes–regardless of their sport–can do this over time. 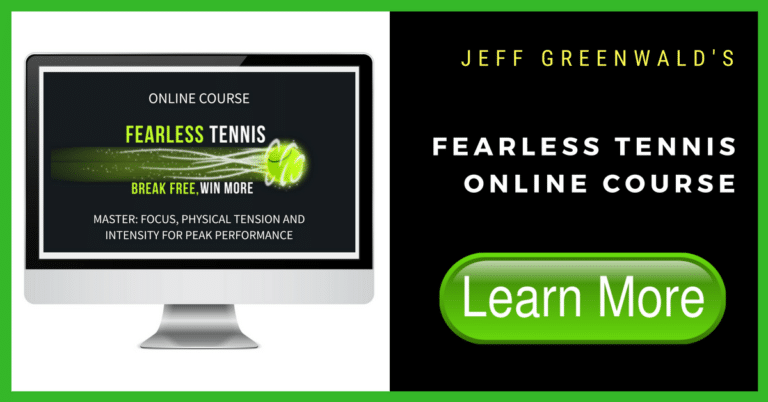 We work on our technical and tactical games, but how about a little more precise focus on the inner game that teaches athletes skills that will serve them well for a lifetime?